The popularity of the match-3 style games and their fast-paced swapping fun is something that we've always enjoyed. Whether it's Pixar-themed, or just has Pixar elements, we're always excited to play these style of games. Much like our current go-to game, Disney Emoji Blitz, we're excited to check out this game since it's exclusively Toy Story themed. Produced by Big Fish Games, Toy Story Drop! allows players to help Woody, Buzz, and other beloved characters overcome larger-than-life obstacles by matching, dropping, and clearing hundreds of exciting puzzles. 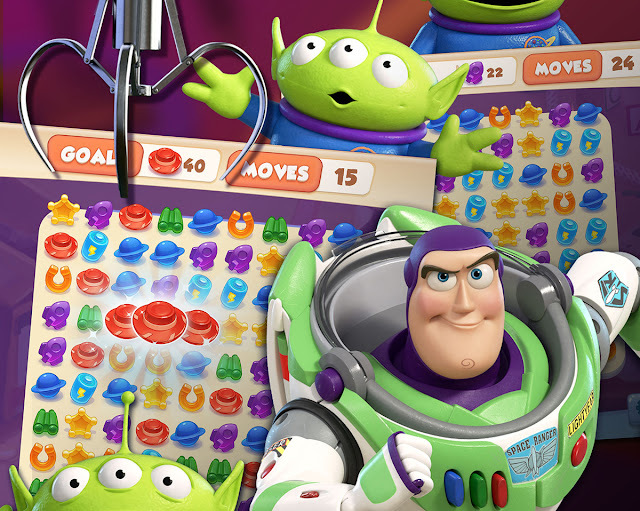 This spring, players will journey across iconic Toy Story locations such as Andy's Room and Pizza Planet, while experiencing the next generation of match-3 puzzle games from Big Fish Games' award-winning “Drop!” franchise. Toy Story Drop! released today to a geo-locked beta on Google Play and the App Store. 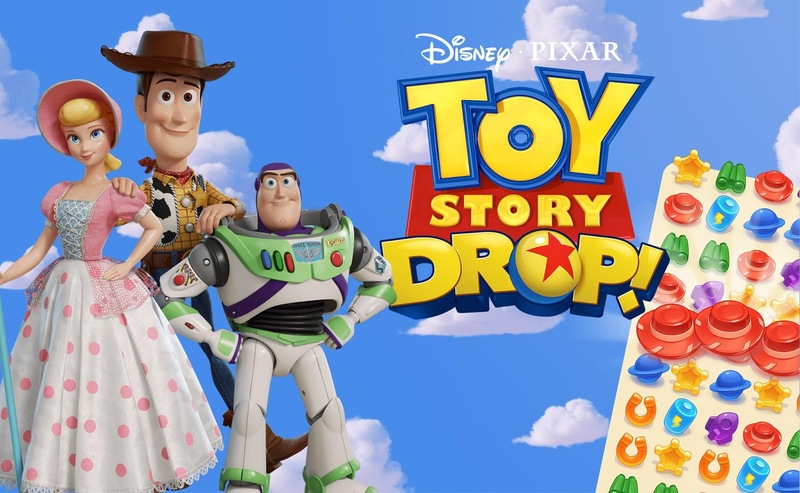 The expected worldwide release will come later this spring as part of the lead-up to the theatrical release of Toy Story 4 in June. Toy Story Drop! is expected to release on all major platforms, including Android, iOS, Amazon, and the Microsoft Store on Windows 10 at that time. 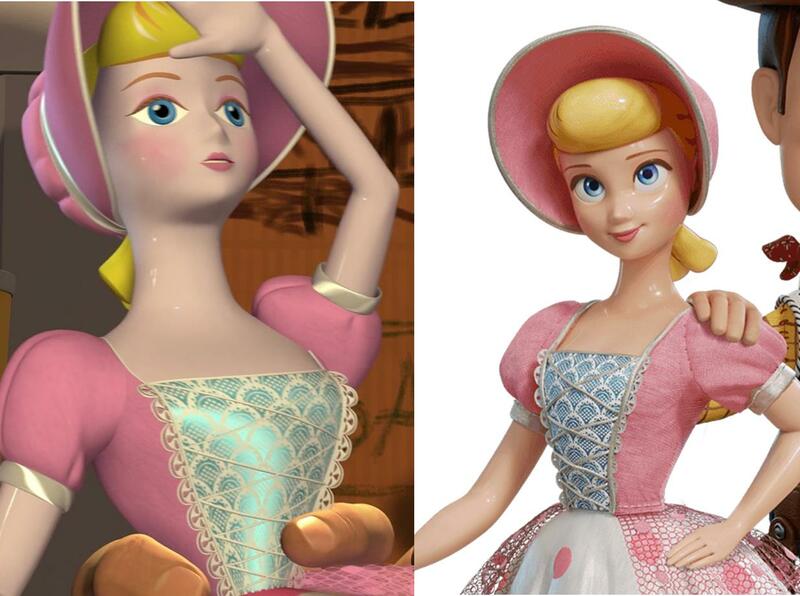 In addition to the game news, we're also excited to see additional high-res close-ups of Bo-Peep. Take a look below. On the left you'll see what Bo Peep looked like in the first Toy Story film and on the right is the artwork which was rendered from her updated Toy Story 4 look. We're personally glad that they updated her look as I don't think she would have been as dynamic otherwise, but we know others who would have preferred if she was closer to her original look. What are your thoughts? - Tom Hanks Notes 'Toy Story 4' Ending is "A Moment in History" — What Does it Mean? The match-3 style mobile game Toy Story Drop was announced and will be released broadly in the Spring of 2019 - read more about the upcoming release.